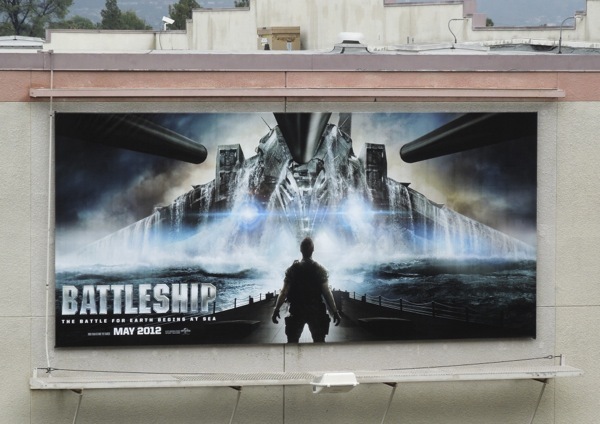 In 2012's big screen adaptation of Hasbro's Battleship board game, Alexander Skarsgård starred as 'Commander Stone Hopper', in charge of the Arleigh Burke class destroyer, USS Sampson. 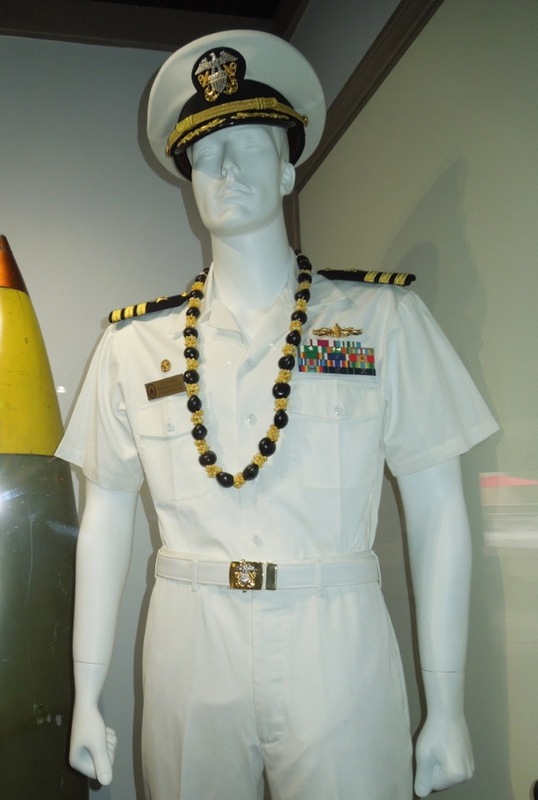 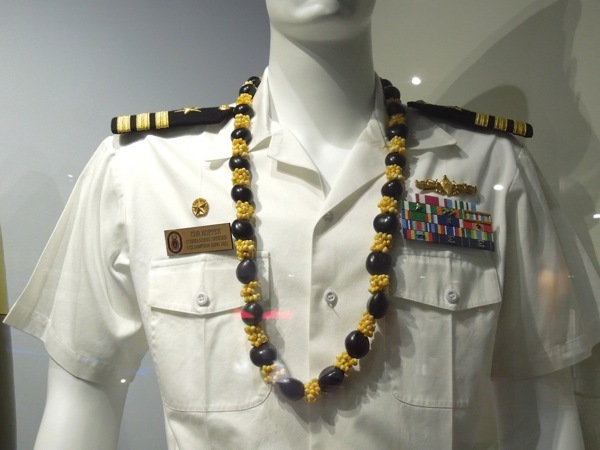 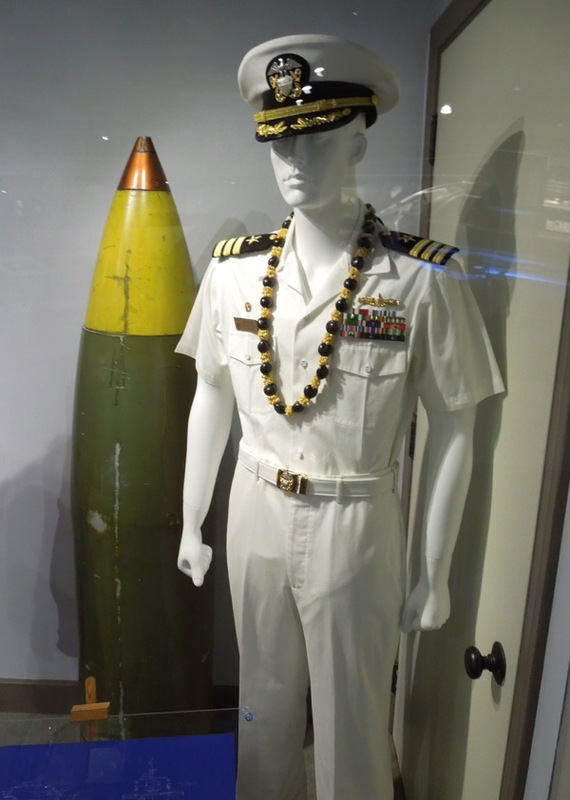 The Naval uniform worn by the Swedish actor, plus a destroyer torpedo prop, were photographed on display at Universal Studios Hollywood alongside a dazzling array of original costumes and movie memorabilia on May 7, 2013. 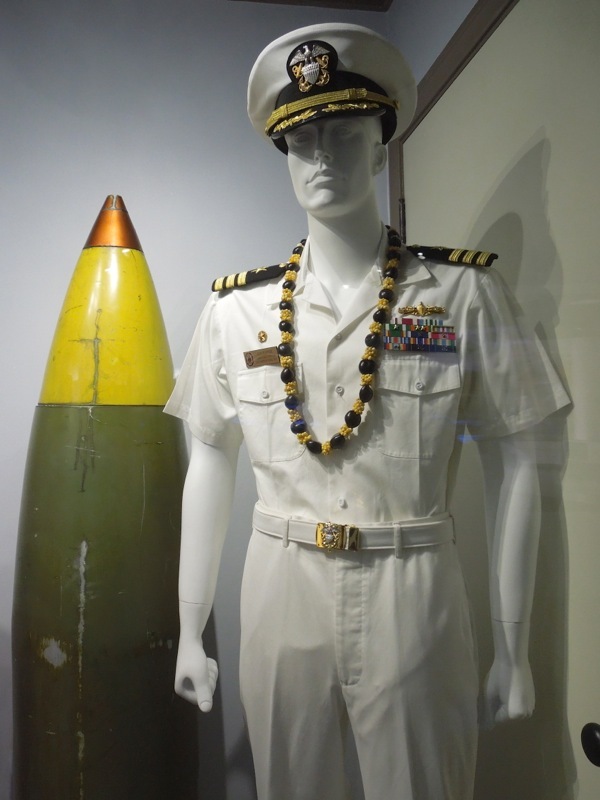 In the movie an international fleet of ships go up against an invading alien armada while on Naval war games exercises in Hawaii. 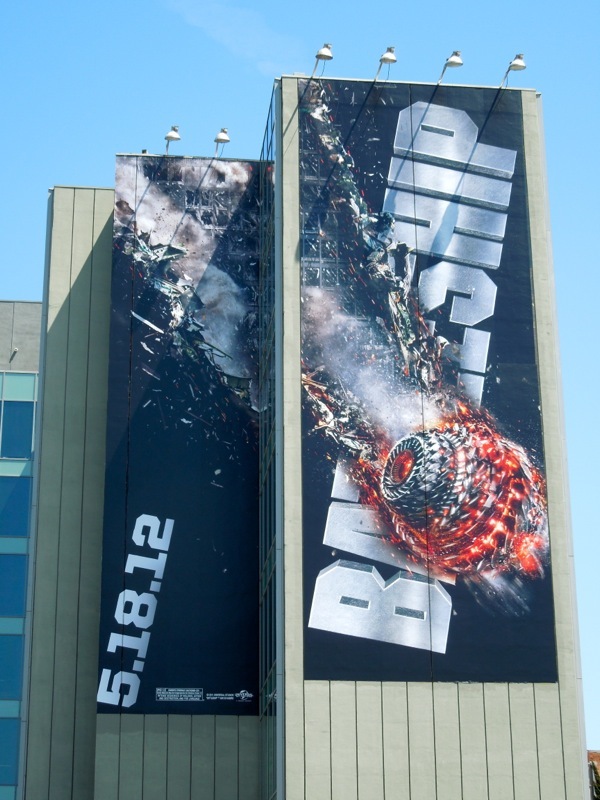 Not everyone makes it out alive. 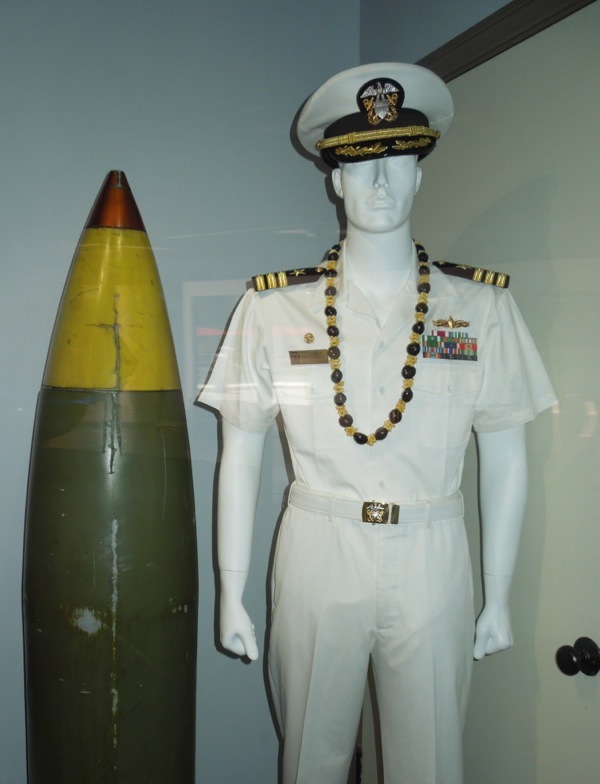 Louise Mingenbach and Kim Tillman were responsible for Costume Design on the sci-fi military action movie. 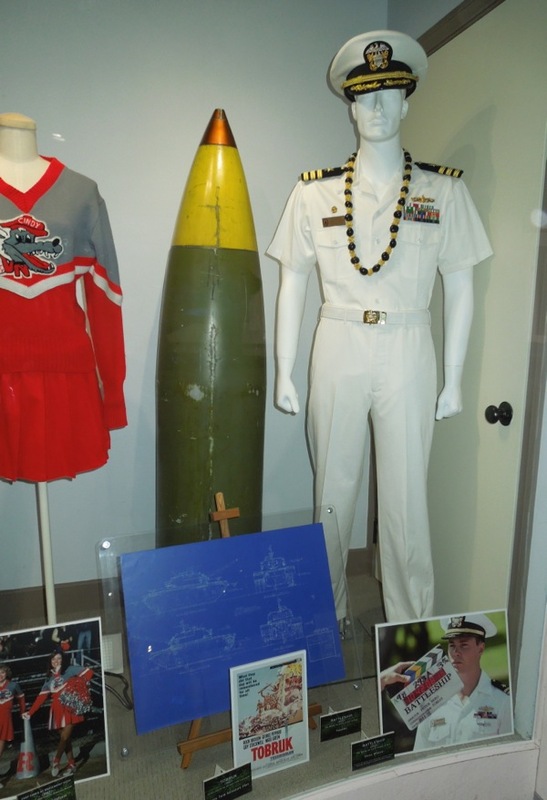 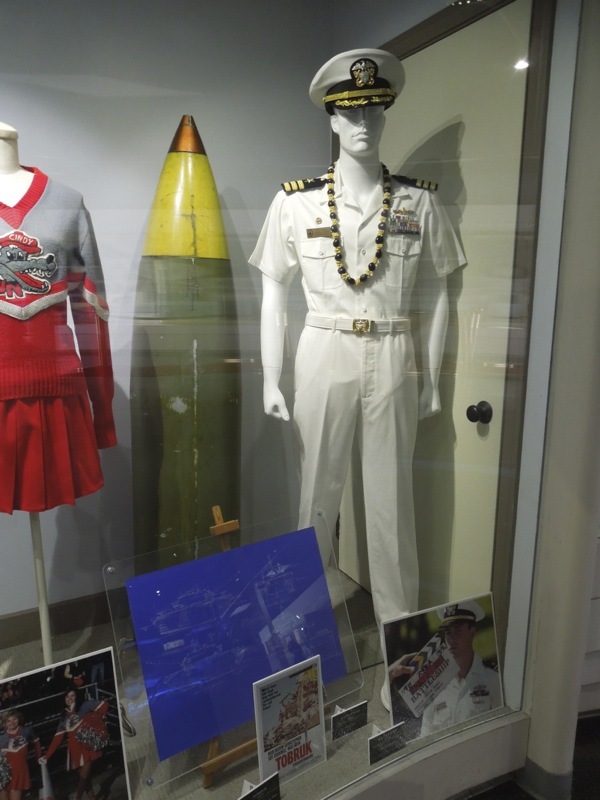 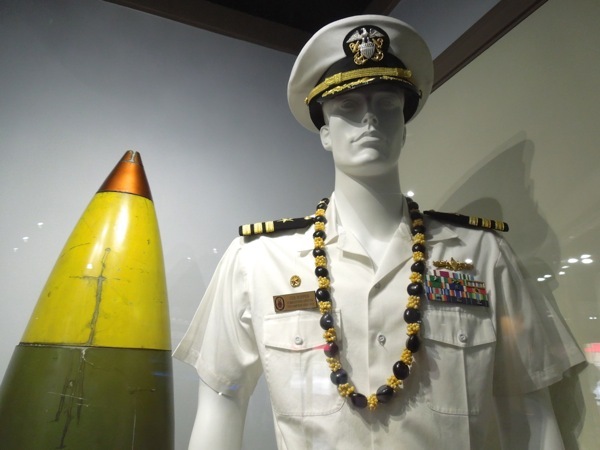 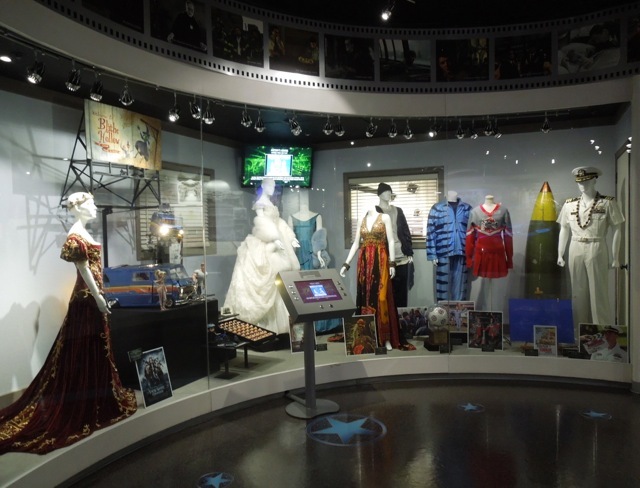 If you like this costume and torpedo, be sure to check out these other actual props featured in Battleship previously exhibited at the NBC Universal Experience theme park attraction.